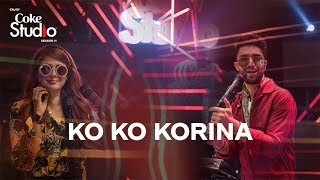 Ko Ko Korina Lyrics – Coke Studio 11: An upbeat duet song, sung by Ahad Raza Mir and Momina Mustehsan. The song is originally composed by Sohail Rana and written by Masroor Anwar. The Coke Studio version has music produced by Zohaib Kazi and Ali Hamza.